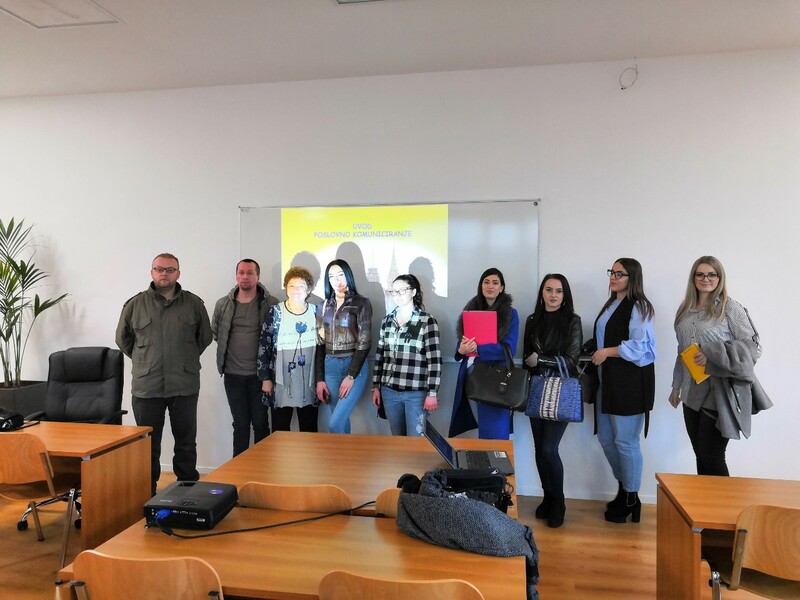 In accordance with Erasmus + programme, professors of the University of Applied Sciences Baltazar Zaprešić, Dragutin Fudna and Ljubica Bakić Tomić, were at the “CEPS – Centre for Business Studies” College in Kiseljak from 7 March 2019 to 12 March 2019. During the five-day stay, the visiting professors toured the premises of CEPS – Centre for Business Studies, had meetings with all services of CEPS College directed towards the forthcoming projects and applying for different EU funding, presented the Baltazar University to students and professors and shared the positive practical experiences from their field. In addition, the professor Ljubica Bakić Tomić held visiting classes to students of Business Economy.